The NEWLY RENOVATED Courtyard Houston I-10 West hotel places you in Houston's Energy Corridor, near Houston's famed Galleria Mall and the prestigious Westchase District. We are within minutes of many popular area attractions, such as Typhoon Texas Waterpark, Baseball USA and City Centre. Business travelers appreciate our close proximity to companies, including , Shell, BP, Conoco Philips, Schlumberger, and Phillips66. Our lobby features flexible spaces to relax, recharge, and reconnect. Plug in to the latest news, weather, and airport information on the GoBoard! Free Wi-Fi and casual seating areas provide space to relax or remain productive. Grab a quick bite or linger with friends and colleagues in The Bistro, offering extensive healthy and hearty breakfast options each morning. Guests of our hotel in Houston, TX also enjoy our on-site fitness center, outdoor pool, and 24-hour business center. 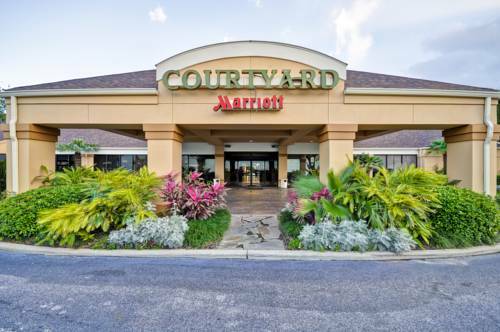 Your stay at our Courtyard Houston I-10 West Energy Corridor hotel is sure to be a comfortable and productive!